Our temple is dedicated to the teachings of Lord Shree Swaminarayan. Check out our photo gallery for pictures from events, some all the way back to 1986! Shree Kutch Satsang Swaminaryan Temple East London is a Hindu community and place of worship in the heart of East London. Formed by a devoted group of Swaminarayan followers originating from Kutch Gujarat, India, it has grown over the years to a centre at the heart of the local Hindu community. The centrepiece of any mandir is the sinhasan which houses a line of murtis, or representations of God and his many forms. 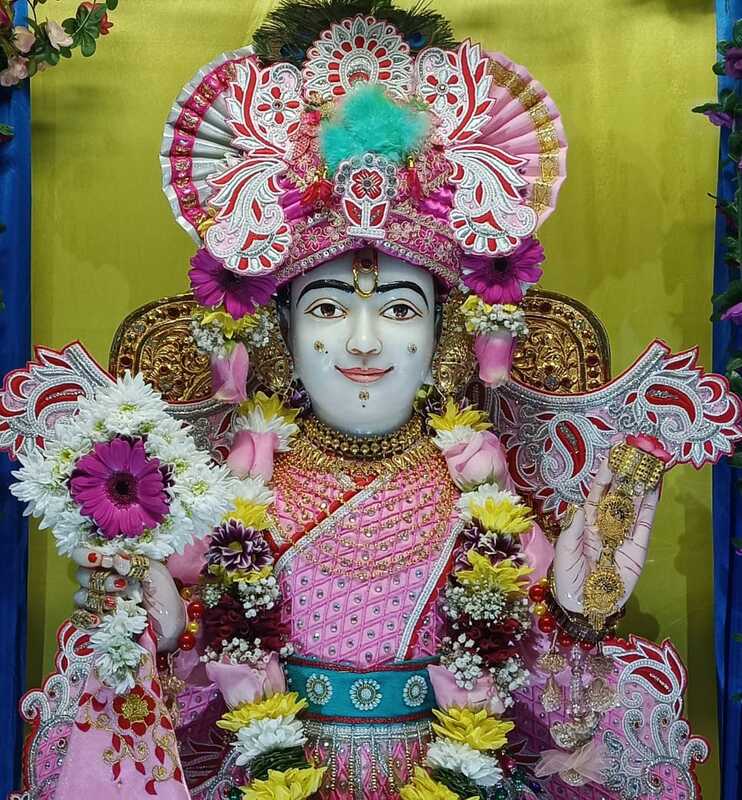 At the centre of East London mandir resides Bal Swarup Ghanshyam Maharaj, installed in the summer of 2002 by Acharya Shree Tejendraprasadji Maharaj. Our mission statement is laid out in our constitution. We’re a temple, but for us its not all about ourselves. Seva is a core aspect of Hindusim – “selfless service”. Over the years, the youth wing of our temple – ‘Yuvak Mandal’, has organised a number of fundraising charity events.